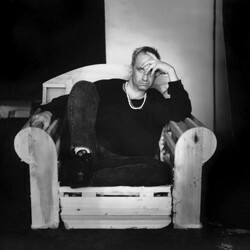 Tim began his professional photography career in 1982 at the age of twenty-three. Starting as a commercial photographer and also now as a nationally known fashion shooter for the past 24 years, working out of Chicago and Grand Rapids photographing many International Models. In 1987 he was named Michigan Photographer of the Year, and in 1989 at the age of 29, he was the youngest photographer in Michigan’s history to receive PPA’s Master of Photography Degree which he did with his commercial work and then the Photographic Craftsman Degree one year later. His work has been awarded numerous National and International titles. Tim’s images have also traveled around the world on display in the “International Study Committee Exhibit” and the “World Congress of Professional Photography Exhibit” Tim has also had his book “Amazing Women Of West Michigan” published by a National publisher and has written articles for the Professional Photographers of America Magazine, as well as finishing a 15 month project as photographer for an art book published by Yale University Press, of the Chicago Botanic Garden prestigious Bonsai collection. ​He is an International Speaker and is currently on a National speaking tour. Tim is Sponsored by Allied Imaging Lab, Photo Evo Pro and Aurora Lite Bank. In this hour and fifteen-minute lecture and demonstration you will learn the tools to see, control, and manipulate available outdoor light to add contour and dimensionality to your subject without the use of lights or reflectors. Just you, your camera and your subject. This intense hour and a half lecture and demonstration will illustrate the fine art and rules of posing your female and male subjects as well as couples and groups. Using both a visual presentation as well as a live demonstration with models you will walk away with a new skill set of the does and don’t of posing. as well the use of a kick. Other topics to be covered will be mixing of different color temperature lighting and balancing strobe with natural light.